The Heat-Timer SMC control system regulates the slab temperature to efficiently melt ice and snow. Therefore, it increases safety in many areas such as driveways, parking lots, staircases, walkways, station platforms, etc. 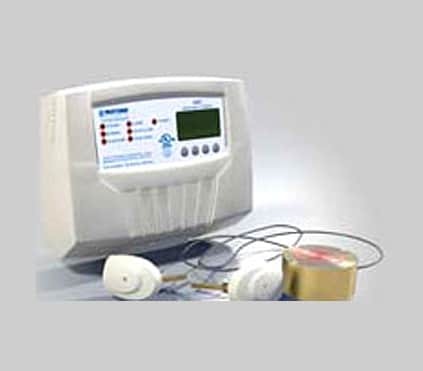 It is designed to run an under slab hydronic heating system by controlling a motorized valve or a modulating boiler. The SMC depends on the slab sensor to measure the slab temperature and the presence of precipitation. This sensor is designed to withstand heavy vehicle traffic. The sensor and its cabling must be installed before the slab concrete pour. In situations where the concrete slab is old and cannot be altered, the SMC can be used with an outdoor temperature sensor. The use of the outdoor temperature sensor eases the installation. However, it does not provide moisture detection that may increase energy usage. In addition to the slab sensor,the SMC connects to two more temperature sensors to measure the slab supply and return temperatures. Their primary use is to help the SMC protect the slab from thermal stresses cause by rapid heating. The SMC includes additional features that can be used to protect the plant and slab. The SMC can be used with a Boiler Return Sensor to help reduce the possibility of thermal shock and condensation to the boiler. Also, it is equipped with an Alarm output. 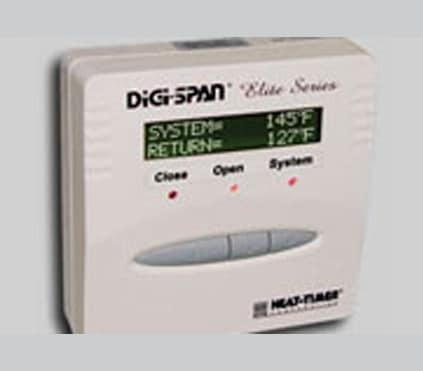 This alarm is activated in many cases including sensor failure, the slab not receiving sufficient heat, or if the slab does not reach its melting temperature within 24 hours.